We feed your body and take your soul! Much has happened in the world of archaeology this past year but little of it has been related to themes biblical. Two interesting pages are up for comparison and review. 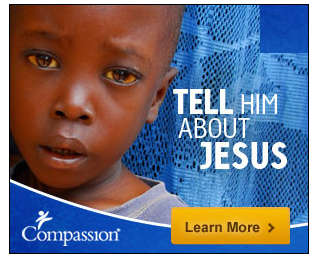 The advertisement that appears on the biblical one is obnoxious. Try not to get distracted (though I won’t help at all by re-posting the offending images here) but then finish up with the page listing some really interesting discoveries of wider relevance and interest. Biblical Archaeology’s Top Ten Discoveries of 2014 by Gordon Govier, on Christianity Today. This includes the tomb of St. Stephen (who almost certainly was a myth) and the theatre where Polycarp was (very likely not) martyred. No, I lie — there is something there of a little interest after all. Something about Noah’s ark being round like a giant version of one of those bath-tubs. And the animals going in two-by-two even on a Babylonian text. (Add it to your trivia list.) The curator of the tablet wears a beard to suit the part, too. The link takes you to a list of all the things your donation can do: provide clean water, a bible in his language and the good news of Jesus. And don’t forget that by giving to this child you are really giving to God himself so you’ll get a really great reward in heaven. That sort of “compassion” I can do without. There’s a similar boring list at Bible History Daily, Top 10 Biblical Archaeology Discoveries in 2014 by Robin Ngo. This one has more interesting graphics for the Noah’s ark story here. And it does not have obnoxious ads telling you how to exploit the sufferings of others or how to get a bigger reward in heaven. But let’s get real. The most interesting archaeological news for the past year is at Coolest Archaeological Discoveries of 2014. Just to say Hi to readers, glad you stopped by whether to comment or just lurk, and wishing you well for the coming year.